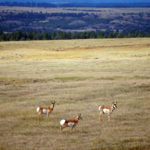 Though known to many as an ‘antelope,’ the pronghorn is not a true antelope. It’s family, Antilocapridae, is a unique one to North America. The pronghorn is the only remaining member of this once large, ancient family. Today’s pronghorn have no natural predators, though their numbers were greatly diminished in the 19th Century by fences (they cannot jump) and unregulated hunting. Most pronghorn can by found in Wyoming. See pronghorn and other speedsters at the locations listed below! American Prairie Reserve is a unique effort to build a nature reserve to conserve and restore the grasslands of Montana. 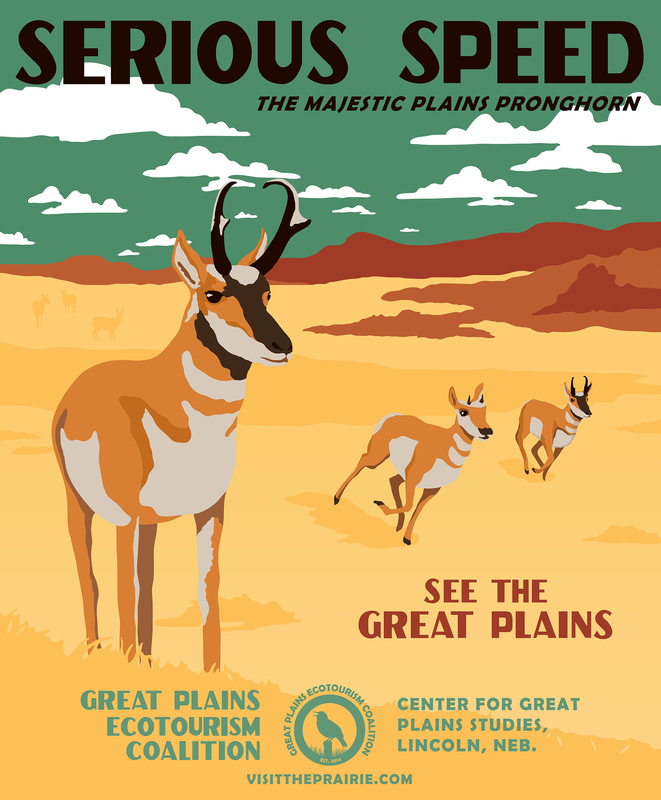 The reserve is home to bison, pronghorn, prairie dogs, swift fox, many grassland bird species, and more species. 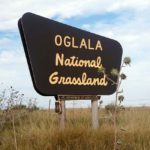 The collaboration through state and federal agencies, ranching operations, and scientists is a great example of a multi-pronged approach to conservation. When complete, American Prairie Reserve will span more than three million acres of private and public land, showcasing the iconic landscape that once dominated central North America and helped shape our national character. Wyoming’s Red Desert is one of the last great high-elevation deserts left in the United States. The world’s largest herd of desert elk can be found here alongside a large pronghorn winter population. It’s also a stop-over site for many migrating shorebirds. Protected by the Nature Conservancy. 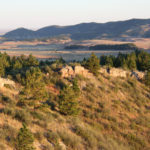 Wind Cave National Park is a small national park that is home to a remarkable variety of wildlife that roam in their natural prairie habitat. Bison, prairie dogs, pronghorn, elk, and a variety of grassland birds can all be found inside the park. Ponderosa pines, riparian woodlands, and mixed-grass prairie ecosystems are all part of the park’s views. 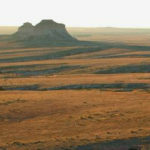 These grasslands are located in the northwest corner of Nebraska and include the Hudson-Meng Bone Bed site and Toadstool Geologic Park. 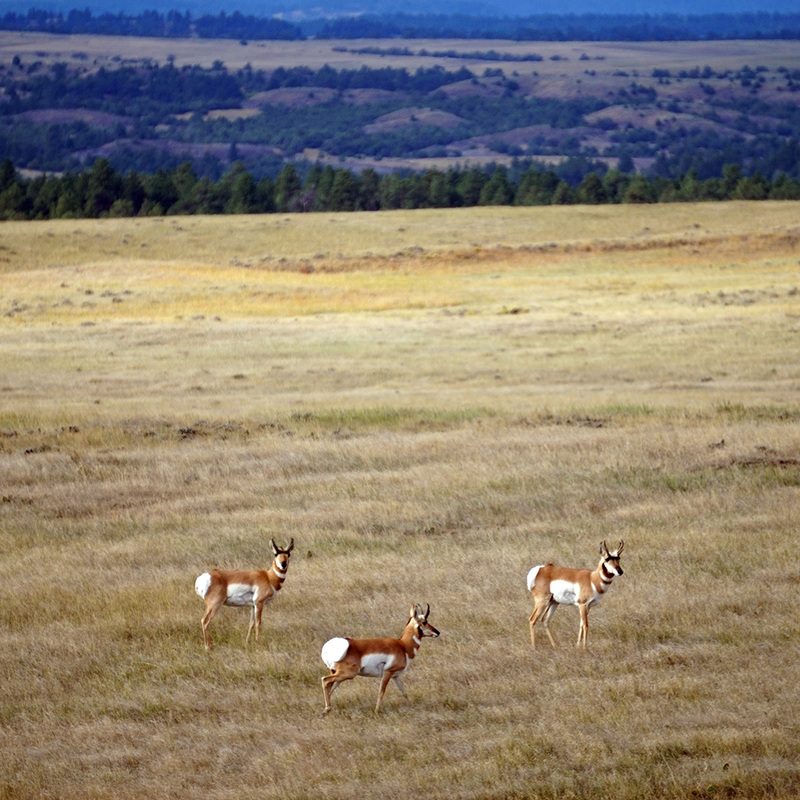 The 94,000-acre mixed-grass prairie is home to pronghorn, many of which can be seen from the scenic Hwy 2/71.